Domain Authority is a ranking metric by SeoMoz which determines your website SERP giving a score of 0 to 100. 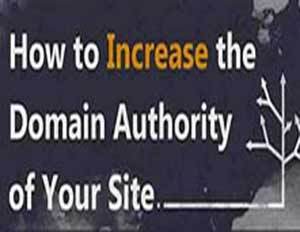 A website with a domain authority above 30 starts showing some authority in search engines. Since Domain authority consist of many different metrics, the best method of improvement is to improve your overall SEO. Back links are the most important factor calculating your Domain Authority score. You should focus on building high quality do follow backlinks from high PR sites. 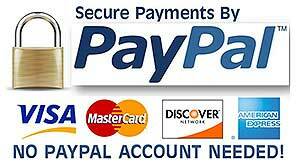 Avoid server link farms and paid directories. Guest blogging on blogs with higher DA than yours is an excellent way to increase your website DA, however, be cautious about using the same link anchor text repeatedly; change your words around. Make sure you get do follow backlinks from your guest post. Quality content is still important and plays an major factor in your DA and also helps in naturally building high quality backlinks. Updating your content frequently with new pages and articles will be indexed by search engines resulting in a better DA score. Link diversity is important so make sure all your backlinks are coming from many different high DA blogs and sites so it looks natural to search engines. Also make sure all these backlinks don’t just point to your homepage. Spread the backlinks around to all your pages so the SEO juice can pass through the entire structure of your website. Google’s algorithm includes a social media factor affecting the DA and SERP of websites. Your articles on these social media sites, with unique high quality content, will shared by your followers which in turn will be shared by their followers resulting a better DA. Don’t forget to include some link anchor text in your articles pointing back to your website pages that are revelant to the article. Build your backlinks gradually and naturally and never get backlinks from a site that has been penalized by Google. Never use software for creating thousands of backlinks in a short time frame or Google will penalize you for spamming. Since older domains are considered more legitimate by search engines and is a major factor for DA, you might want to consider buying an older domain for sale. To check your DA click here. Traffic measurements including quantity of page views per visitor, how many returning visitors and user bounce rate. Quality and quantity of incoming links. Link diversity - Most of your external incoming links should not come from the same source and should not only go to your home page but other pages as well to increase their page authority. Domain registration info - DA monitors domains linked with the same information and If one of those sites has black hat SEO techniques, other sites can be de-ranked. Frequency of updated content - Your sitemap.xml file contains the last modification date and time which the crawler compares to it’s database to determine how often your updating your site. Adding or removing sections is more important than just changing the order of a few words. Page Rank - Moz utilizes Google’s PR for part of the DA process.